Ermey, a former Marine drill instructor and film and television actor, will be signing copies of his new book, “Mail Call,” at the Kadena Bookmark Jan. 9 from 3 to 7 p.m. and the Foster Bookmark Jan. 10 from 1 to 5 p.m.
Ermey received a Golden Globe nomination and the Boston Society of Film Critic’s Best Supporting Actor’s award for his role as the hard-bitten Marine drill instructor in Stanley Kubrick’s Vietnam War movie “Full Metal Jacket.” He’s been a featured actor in numerous films, including “Dead Man Walking,” “Mississippi Burning,” and “Apocalypse Now,” and is the host of The History Channel’s “Mail Call,” which focuses on investigating military technology over the ages. 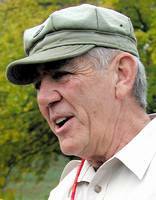 Ermey served 11 years in the Marine Corps, serving a tour in Vietnam in 1968 with Marine Wing Support Group 17(my old unit). 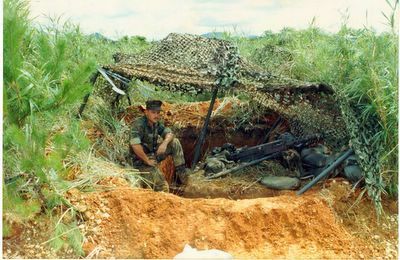 He later served two tours on Okinawa, where he ran a bar in Kin for three years after his medical discharge in 1972. He later went to college on the G.I. Bill, graduating from the University of Manila in the Philippines as a drama major. In May 2002 Ermey received an honorary promotion to gunnery sergeant from the commandant of the Marine Corps, becoming the first retiree in Marine Corps history to receive such an honor. According to blurbs published on Ermey’s Web site , the book includes photos, historical anecdotes and interviews with top experts and active-duty servicemembers. The dudong, a lumbering mammal similar to the American manatee, was thought to reside in the northern Okinawa area where the U.S. and Japanese governments wanted to build a replacement airfield for Futenma. Environmentalists pressed the issue, and won, forcing the governments to back off plans to build the Henoko facility. Newly released photographs from the Japanese Environmental Ministry support the decision. Photographs taken last February have been released showing a female dudong and her child swimming off the Okinawa coast. Officials say the shots were taken from a helicopter flying over the Okinawa west coast. 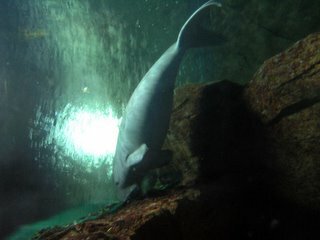 The pair was observed swimming together for more than three hours, during which the mother dudong breast-fed her child. The dudong is a shy animal, and officials say the relatively few numbers make it difficult to document their activities. 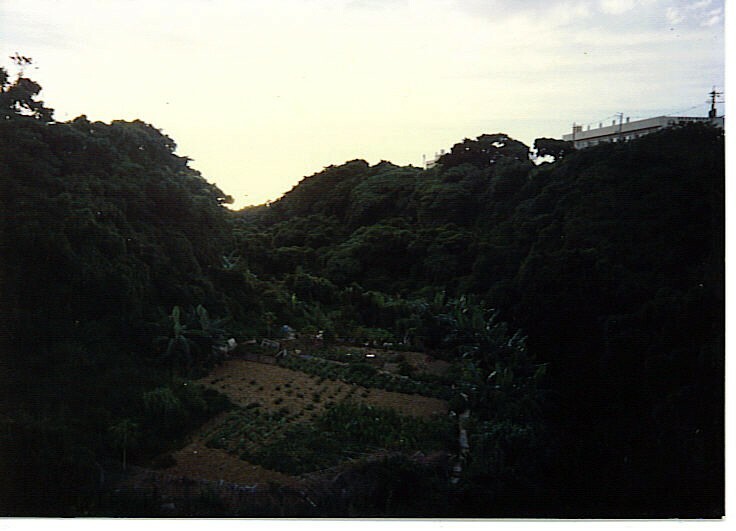 The Environmental Ministry says it considers Okinawa a dudong habitat, and ahs designated it a natural monument. Studies of the area have been going on for more than five years. The final hours of this year of the rooster are rapidly ticking away, and Okinawans are gearing up to welcome 2006 as the Year of the Dog. The northern region of Okinawa has many natural wonders and world heritage sites. Private landowners are threatening those wonders, and that heritage status, with individual decisions to cut down trees and strip the hillsides. The Yambaru area is vital to Okinawa’s World Heritage Sites status, government officials point out, and want the forests to remain intact. Private land owners say it’s their land, and they’re within their rights to do what they want with it. Most of the forests are public lands, but there are enough private forests to cause concern. Concerned about the situation, some communities say they’ll take measures within the year to create designated natural environment areas. Governments in the Motobu and Nakijin areas, the Motobu peninsula and Conic Karst area are leading the environmental charge, but know they’ve an uphill battle against private land owners. This picture is from 1989 of a farm right in the middle of Okinawa city. OKINAWA CITY — The communities of Okinawa City and Chatan passed unanimous resolutions last week opposing plans to allow the Japan Air Self-Defense Force joint use of Kadena Air Base. By opposing the plan made public Oct. 29 in a bilateral report on realigning U.S. troops in Japan, the two cities joined the prefectural government and five other Okinawa municipalities which have passed resolutions opposing parts of the realignment proposal. The Chatan Town Council’s resolution also said joint use would “lead to growth of the functions and permanent presence of the military base.” The council also voiced its opposition to part of the realignment plan that suggested closing most bases south of Kadena and consolidating the Marine bases to existing facilities in more rural northern Okinawa. The resolutions were addressed to Prime Minister Junichiro Koizumi and other ministers. Five other Okinawa municipalities — Naha, Nago, Kin, Kadena and Ginoza — and the Okinawa Prefectural Assembly have passed resolutions opposing the realignment plan, specifically the part of the proposal that calls for building a heliport to replace Marine Corps Air Station Futenma on part of Camp Schwab. The governor of Okinawa, host to the bulk of U.S. forces in Japan, warned on Tuesday that ignoring local anger over plans to relocate a Marine base on the southern Japanese island could hurt the U.S.-Japan alliance. Residents of Okinawa and other communities, however, are resisting the plan out of concern about crime, noise and environmental damage associated with the bases, creating a huge diplomatic headache for policy-makers in Washington and Tokyo. "What's most important is to pay attention to the feelings of the people of the prefecture. Otherwise, you end up with an uncontrollable situation down the road," Okinawa Governor Keiichi Inamine told a news conference in Tokyo. If you are looking for a very cheap trip similar to the comedy set of the show 'Gilligan's Island,' then Ishigaki, Okinawa, is the place to go. Ishigaki is located about 260 miles southwest of Naha, Okinawa. It takes approximately 45 minutes to get there from by plane. It is one of the 49 populated islands of the 159 islands of Okinawa and has about 45,000 people. Most people can drive around Ishigaki by car in about three hours. About 15 minutes after leaving the airport, you will forget about the city and be surrounded by mountains, caves, sugar cane fields, green pastures full of cattle and beautiful beaches with clear, blue water. The boat tours to several islands surrounding Ishigaki are worth every second and yen. The average price for an eight-hour tour is 10,000 yen, which includes lunch. The Ishigaki port has several large boats with seats similar to those in an airplane. You simply walk across the street from the port and purchase tickets for different types of tours. Each tour differs in the number and type of islands that you would like to visit. One of the best tours is the three-island visit to Iriomote, Yubu and Taketomi. After a slow 10-minute ride on the boat from the port, the captain will unexpectedly hit the gas, sending you on a boat ride that feels like a professional speed boat race. Add rough seas to this ride and you feel like your in flight every 10 seconds. It takes about 40 minutes to get to the island of Iriomote, which has a population of about 2,000. From here, you will ride a slow riverboat and travel through the Urauchi-gawa river, which is the largest river in the Okinawa prefecture. The tour guide speaks Japanese, but that should not hinder those seeking a beautiful ride through the mountains and awkward looking trees, which have large fungi-type roots rising above the water. Once the boat tour is complete, you catch a 20-minute bus ride to the other side of the island. When you start to come down the mountain to the other side, you will see what appear to be small huts on the water. It is an amazing site. Once you arrive, you will find that they are small huts, but they are filled with tourists who are being pulled by water buffalos to the tiny island of Yubu. What makes this ride even better is the sounds of laughter and singing in each cart. Some cart guides play the Okinawan Sanshin while singing popular Okinawan songs, while others tell jokes about how the stubborn behavior of some bulls. Once lunch on Yubu is complete, you ride back to the high-speed boat and head to Taketomi, which has a population of about 300. You will be able to see the famous star-shaped sand, ride a water buffalo cart through the city or see how they use tree bark to make their clothes. 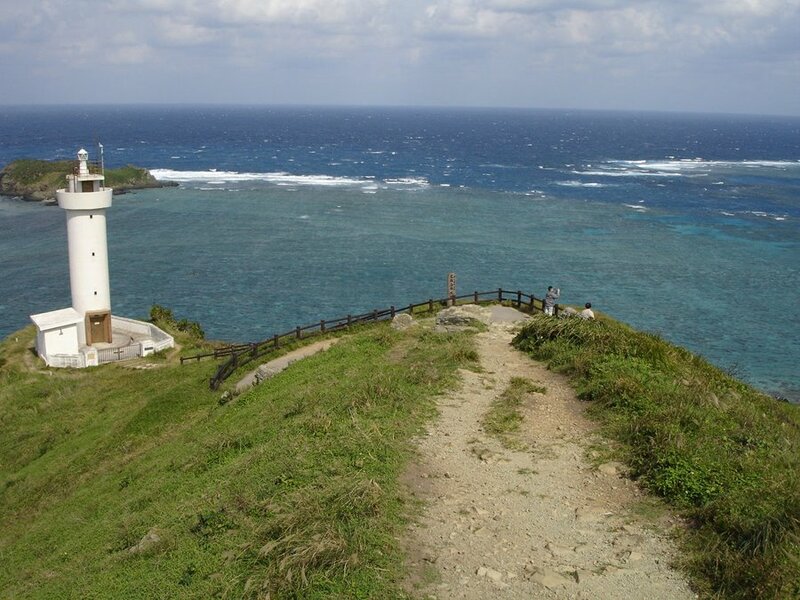 Other popular stops on Ishigaki include the Hirakubo lighthouse, Toujin Grave, Sukuji beach, Yonehara palm tree groves, Banna Park and the Yonehara beach. The Information Tours and Travel office offers packages to Ishigaki's Club Med Kabira, ranging from $400 to $600 in price for three nights and two days. The Club Med resort price covers the airfare, accommodation, food, drink, sporting activities and entertainment. The ITT office can also help you plan a day trip to the islands surrounding Ishigaki. That could include finding a rental car company or finding out how to buy a ticket to get on the boat tours. TOKYO — U.S. Ambassador J. Thomas Schieffer said Japanese who contend they bear a heavy burden by hosting U.S. troops have a right to object but the presence is a small price to pay for the security and economic success it has afforded the country. “During the last 60 years Japan has been at peace. The world has been spared another world war. A large part of the reason for that success is the presence of American troops here in Japan,” he said. “The presence of our forces in Japan is sometimes seen as a burden to Japanese. That is understandable,” he said. “The presence of a foreign military anywhere in the world is no one’s first choice. “But the fact that American forces have been here gave Japan the opportunity it needed to build the second-largest economy in the world,” he said.